I wasn’t kidding when I said that this town knows how to Fest when the sun comes out. Our days can get so cold and the sun only graces us for a few short months so it seems that the North Dakotans around me are sucking as much enjoyment as possible out of each sunny minute. We heard rumors of free food out in Alexander, something about oil companies feeding the community, so we ventured out to take a look. I was a little shocked when we rounded the corner and saw a mass of booths, live music, tents, and tons of people taking over the main park and surrounding area in Alexander. Danny joked that this event was better than a job fair. Every oil company in one place, laid back and chatting with whomever came by. Had we only known it might have been worth it to buy a plane ticket out for Cook Fest last summer when we were getting desperate for an oil job and having a hard time getting people to talk to us. Better than a job fair! 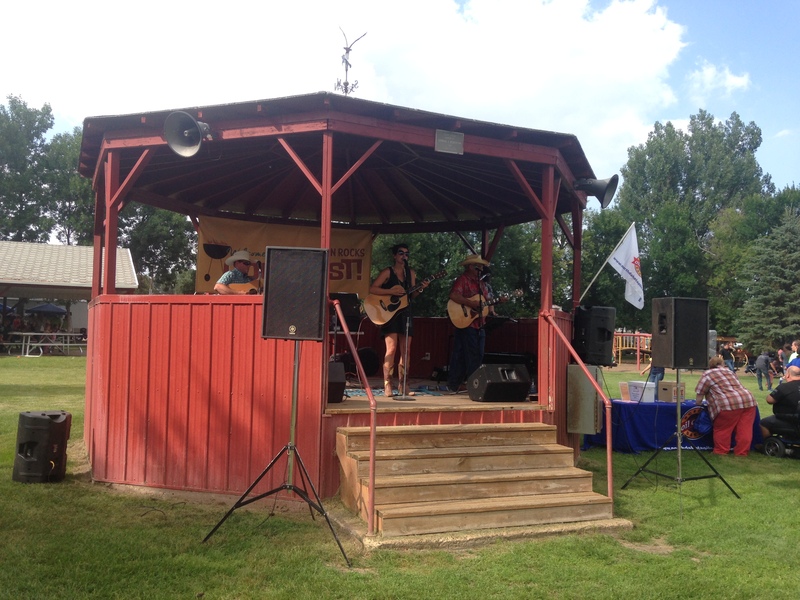 Taken right from their website – CookFest is a community outreach event that is held in two communities impacted by oil and gas development and is an opportunity for the industry to give back while residents learn more about the industry and the companies operating in their area. CookFest includes a Bakken Basics Education session, live entertainment and BBQ served by industry CookTeams. It happens in Alexander and South Heart. Cool right? On the main stage Jessie Veeder and her baby bump were jammin with her band. The Lieutenant Governer announced the winner of the cook off. Seems that people could vote on which company cooked up the best meal. There was games and good and free swag all over the place. 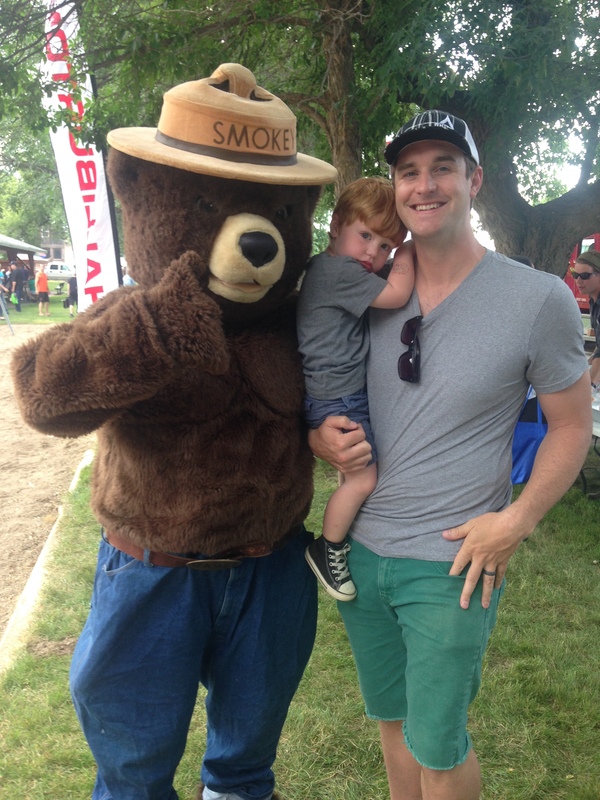 We even ran into Smokey! Benjamin was not interested in Smokey one bit! 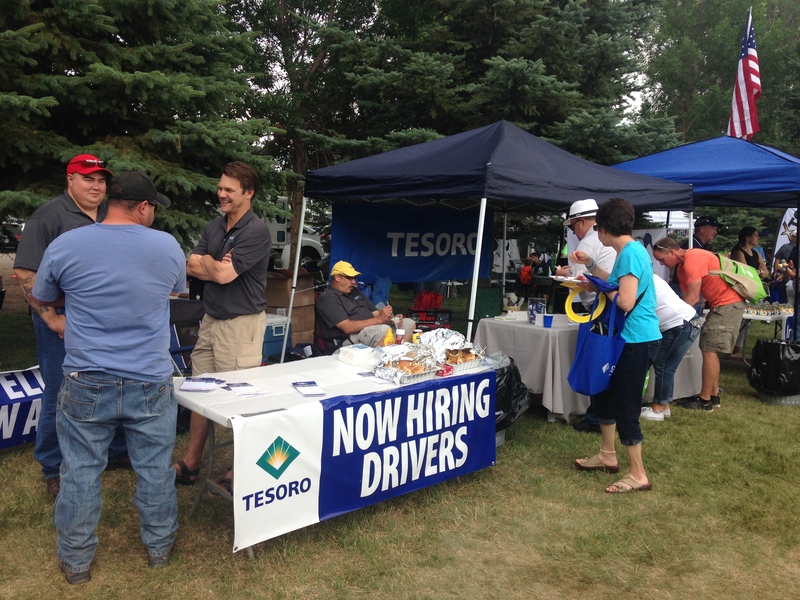 We ran in to lots of people we knew, ate to our heart’s content, got bags full of oil company swag and came home happy. All for free! It is really cool seeing the oil community and local community come together. I’m sure not all locals love having rigs set up practically in their own back yard, I appreciate that the oil industry is acknowledging that and trying to reach out and help the communities they operate in. I also appreciated the 10 plates of bbq pork I ate. 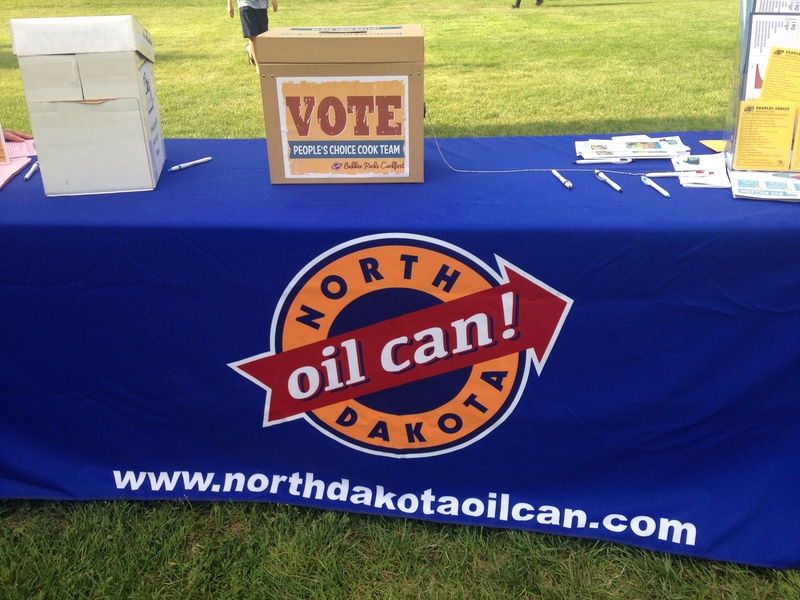 This entry was posted in NoDak Livin and tagged Alexander North Dakota, Cook Fest, Oil Companies give back by bebadoozie. Bookmark the permalink. Betsy, not sure if you know but they pick two different towns each year. Prior cook fests have been held in Watford City, New Town, and I am not sure of the others. It is an amazing event and much appreciated!